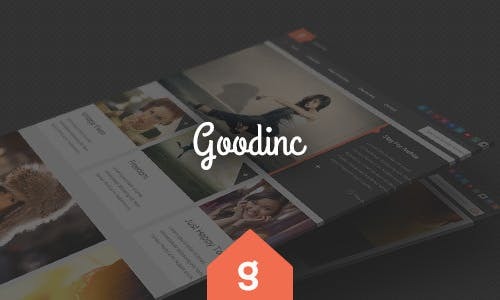 GoodInc is modern and unique responsive WordPress blogging theme, which sure captivate you and your readers. In this theme, you get awesome homepage layouts and archive pagination options like a Load More button, or infinite scroll. This theme is fully responsive. This adjacent with any browser size with any device whether its laptop, desktop or mobile. The theme has been built with speed in mind, loading as few CSS/js files as possible and only load them as needed. You get a lot of features like Custom Header & Footer Logo Options, Infinite Scroll, Load More, or Pagination Options, Sticky Navigation Option, Custom Slider Animations, Widgetized Sidebar, Contact Form 7 Support, Gallery Metabox Image Management and many more advanced features.